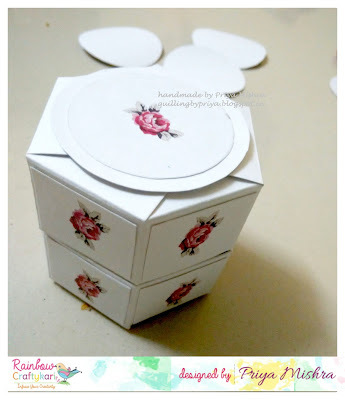 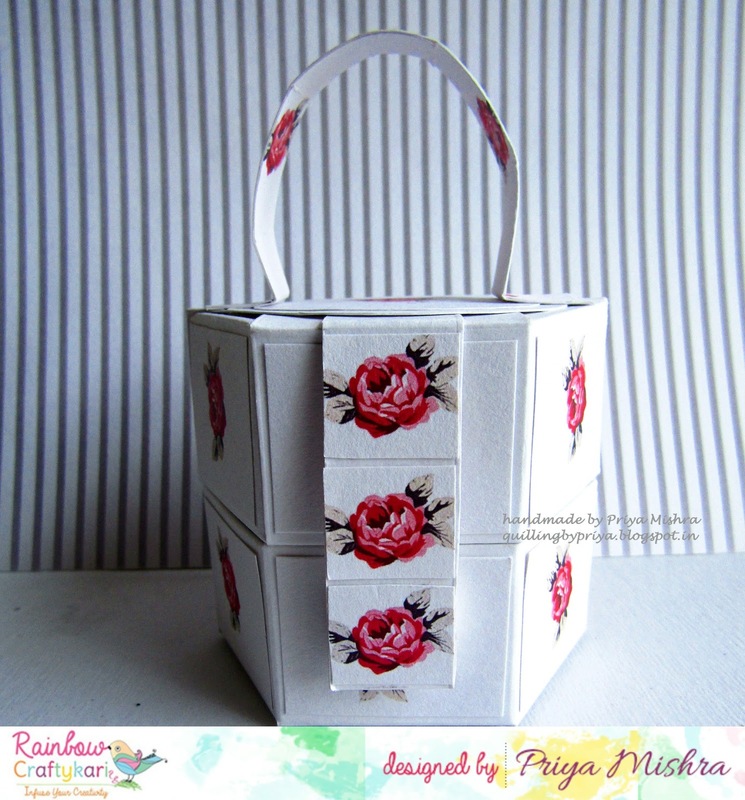 I am Priya with you today sharing a detailed tutorial for making a small gift box for Rainbow Craftykari. 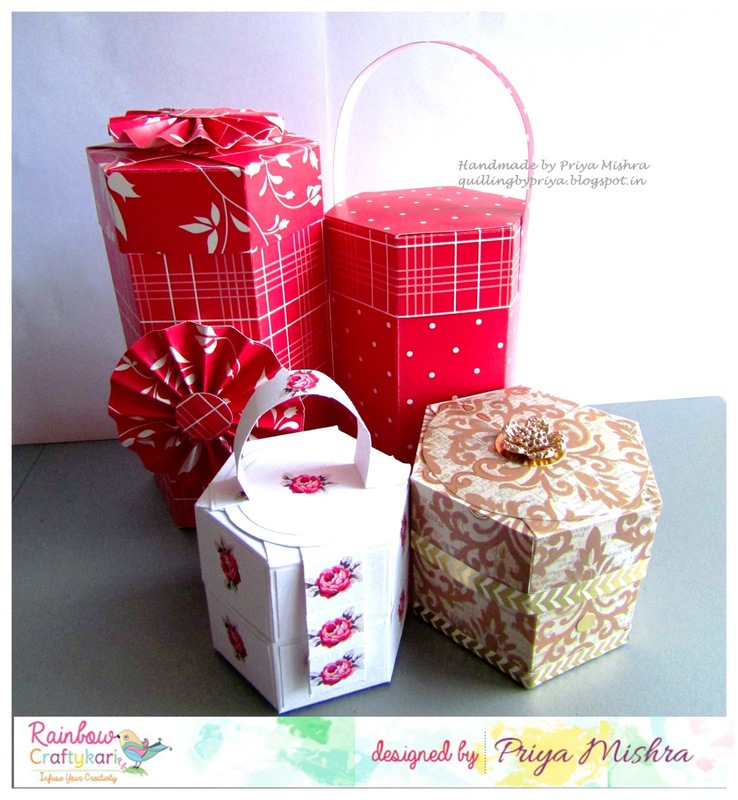 I decided to make some small gift boxes for gifting this Diwali. 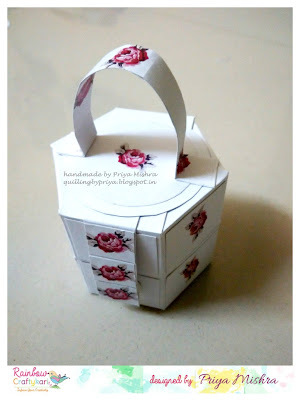 I'll put some chocolates inside these cute boxes which has a beautiful handle too. And like this to the inner side of the box. 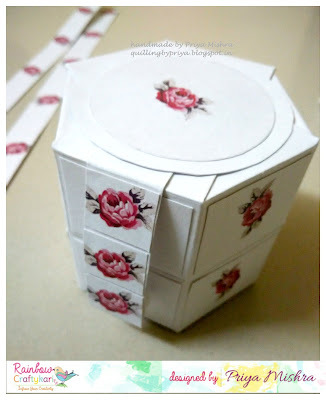 This is so addictive. I so loved the idea that I made a few more with different dimensions.As you can see all are of different sizes and a little different in terms of outer design but all of them are hexagonal and cute and equally strong. I hope anyone who receives this will have a big smile seeing this. 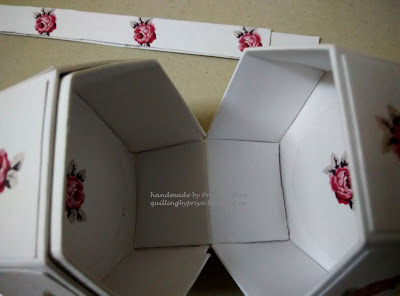 Hope you like this tutorial and try make some for yourself.